27 ft. Round Liner Pad for Above-Ground Pools Economical floor padding that protects your liner! New Liner Pad makes old foam floor padding obsolete. Unlike foam, which can be easily cut by grass, roots or rocks under your liner, Liner Pad protects your liner from sharp objects. Liner Pad is tough, but also adds a layer of cushioning. Liner Pad is cut to size and seamed for your pool. No more cutting and taping as with foam. Virtually eliminate vinyl liner bottom leaks with Liner Pad. 27 ft. Round Liner Pad for Above-Ground Pools is rated 2.0 out of 5 by 1. Rated 2 out of 5 by ToolTimeTina from Economical Liner Pad The 27' liner pad was cut irregularly and trimming 90' of fabric while standing inside the pool wall is very difficult and time consuming. 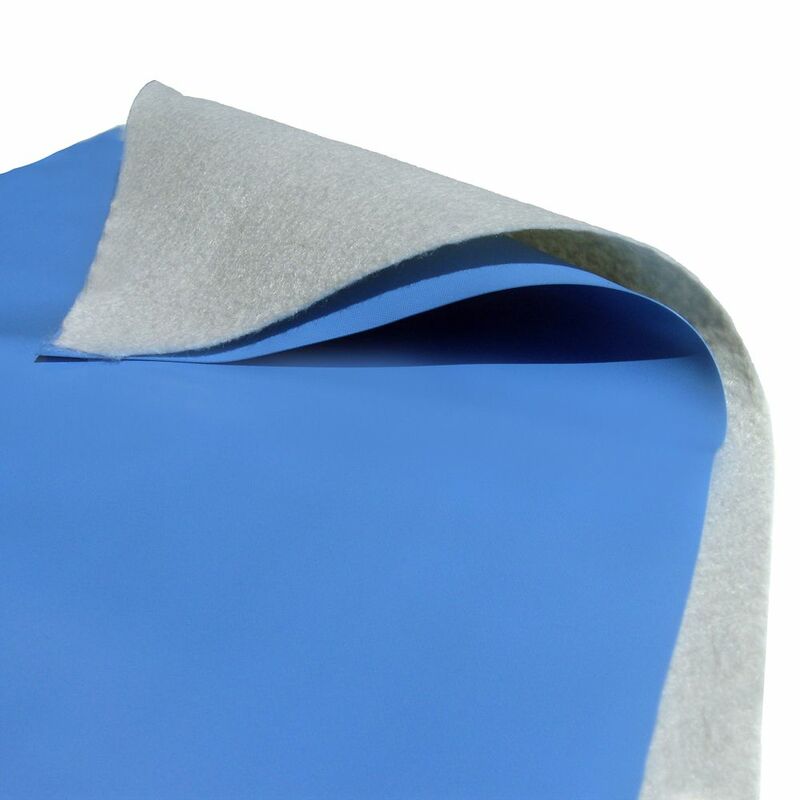 Additionally, the liner sticks to the fabric of the pad, making it virtually impossible to move the liner around during installation. It's called economical for a reason.